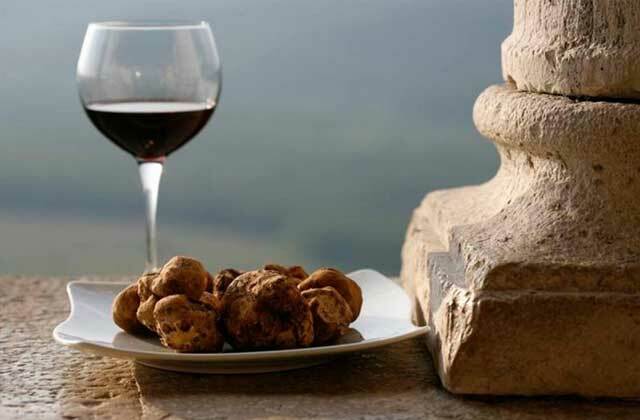 Lands of great wines and the home of truffles, these lands are today one of the destinations of international tourism. In the Piedmontese dialect, the term "langa" indicates the particular hills, with soft profiles, which are chased by characterizing the landscape of a well-defined area of Piedmont: a fascinating land included for the most part in the province of Cuneo, the area that descends from Alba to the south (to the orographic right of the river Tanaro), up to the northern slopes of the Ligurian mountains and, for a minor portion, in the province of Asti, the Langa Astigiana. 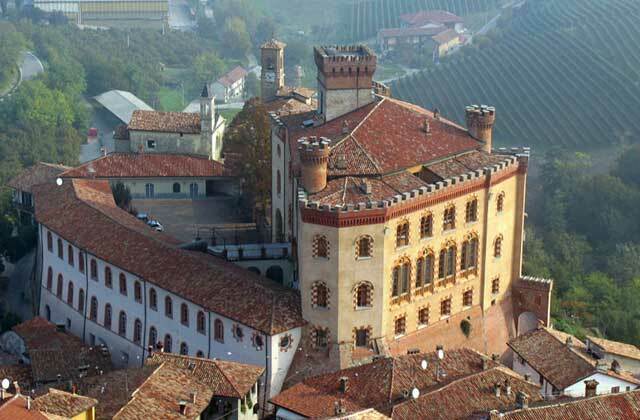 The Langhe in medieval times saw a myriad of castles,churches, abbeys and in the following centuries,noble villas,palaces, peasant villages, farmhouses. Pavese, Fenoglio and,Revelli have returned them intact,immortating them in°some of the most beautiful pages of our literary history. 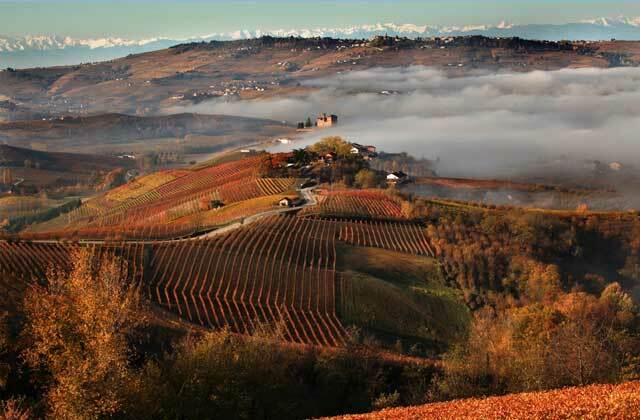 Particularly suggestive is the winegrowing landscape,designed by nature and maintained by the Langarolo viticulturist. 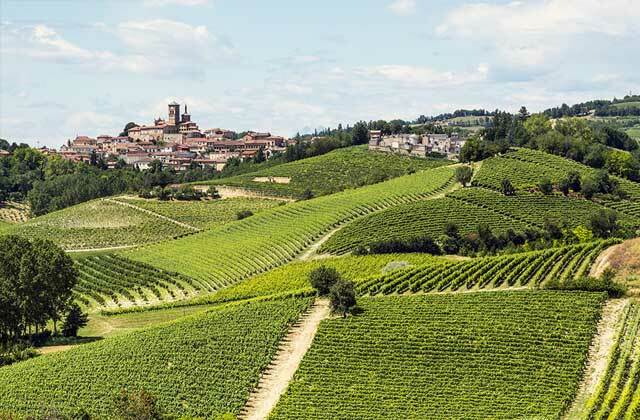 Many small vineyards, strictly on the hill side ,with the strangest geometries, like tiles of a mosaic, make up the hilly slopes facing the sun. Simple and humble "ciabot",huts or rural remasses, witnesses of fatigues, give to the wine growing landscape an almost fairytale aspect. In the distance superb castles with soaring towers and rustic farmhouses tell not only of a flourishing middle ages but of alively peasant culture still deeply rooted today. The area northwest of Alba, instead takes the name of Roero, from the Lords who had for a long time dominionand presents it self to the eyes of the visitor with two distinctareas: one to the West is a plateau uniformly wavy, the other to the East a maze of hills. 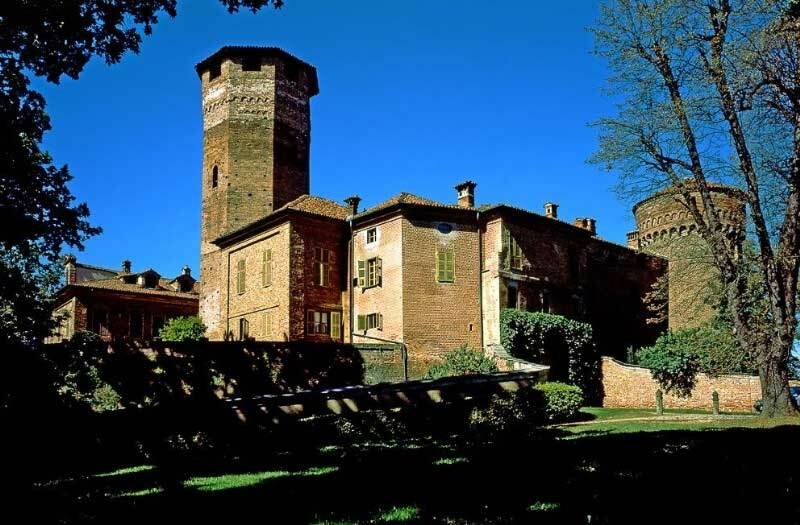 The Roero also boasts a considerable patrimony of towers and castles, with atypology that goes from the rude manor from the remnants of the thirteenth century to the princely country dwelling ofthe 700. In some countries there are only towers, in others the Cinta Bastionate, in others still the real and properfeudal castles of rare elsewhere. 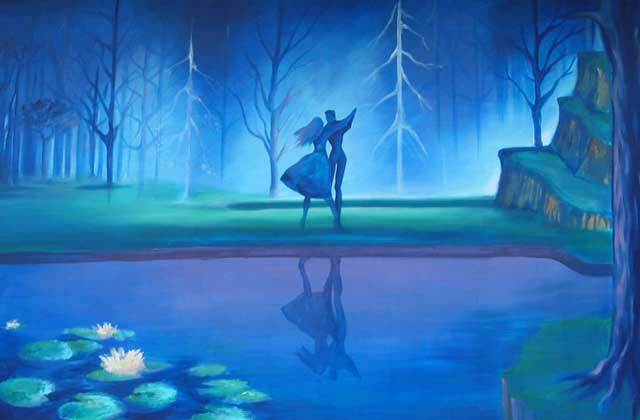 It is a hilly region, covered with meadows, vineyards, lush pescheti, chestnut woods and red strawberry fields. Along the ridge of the hills from Pocapaglia to Montà there are the "Rocche", deep and sharpgorges that cut the hill live, exposing the stratifications of theterrain. 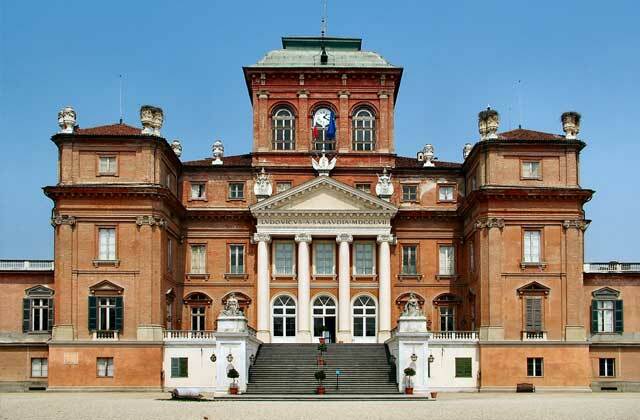 The town of Racconigi, famous for the Savoy Royal Castle of,neoclassical forms and a richly decorated interior. Behindthe building is the magnificent park, where you can find thestorks. It also deserves a short stroll through the historiccentre, which is full of pleasant historic buildings. 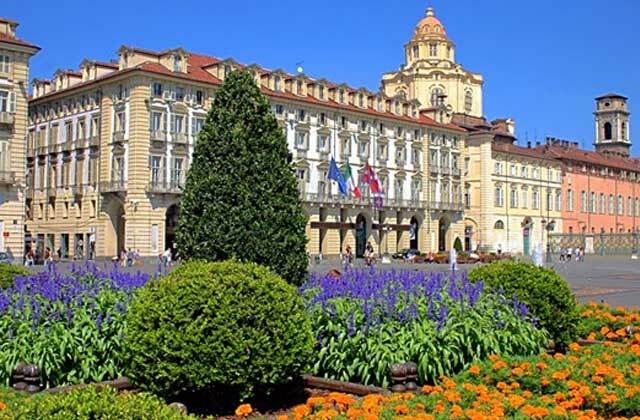 The nearby town of Savigliano preserves in addition to apleasant historical center, with the historic Piazza Santarosa,full of buildings of great interest, the churches of St. Peter of Cassinesi completely restructured in the XVI and XVII centuryand S. Andrea remodelled in 700 In Baroque forms. A particular note is dedicated to Fossano where it is pleasanta walk along the central via Roma, in large part in Portici,where there are buildings of considerable historical andartistic interest. Also noteworthy are the Duomo and theChurch of the SS. Trinità, of ' 700, in addition to the fourteenth century castle of Acaja, beautifully preserved,with its famous carousel of the goose, historical commemoration that took place on the third Sunday in June.It is a medieval jousting, which puts skilled riders in the racewho have to decapitate the goose. 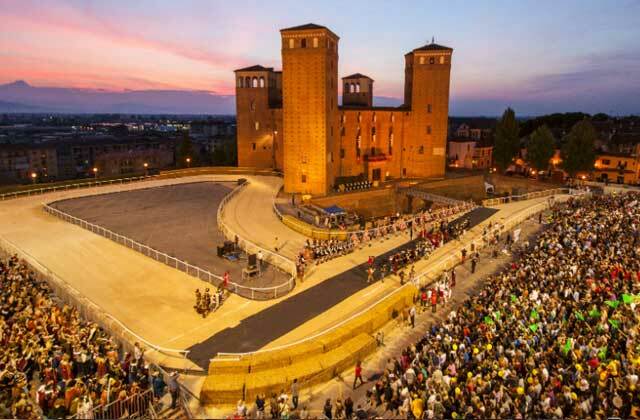 Flagthrowers, costumesand great scenography: Here are the districts that competeand the city of Fossano lives and makes live days of intense emotions. 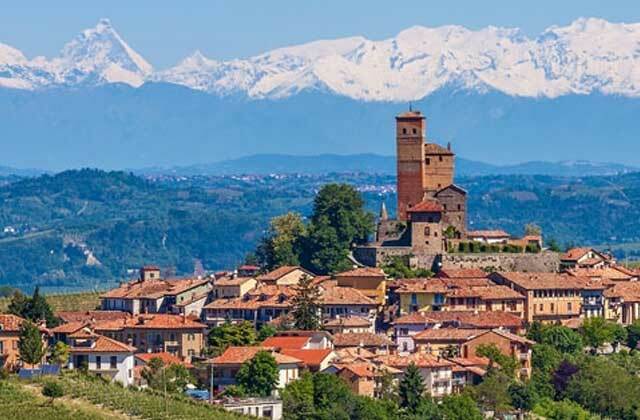 Already existing before the eleventh century, the town of Saluzzo became the capital of the homonymous marquisatereaching its maximum splendor in the fifteenth century.Silvio Pellico was born there. Buildings of notable historicaland artistic value are Casa Cavassa of the XV century, the church of S. Giovanni with Gothic forms on the previous thirteenth century chapel. Very pretty is the square Gothiccloister, as well as the semioctagonal apse of extraordinarilydecorated green stone. Important are also the castle orCastile of the XIII century, now prison, and the Cathedral ofGothic forms, built on medieval church. 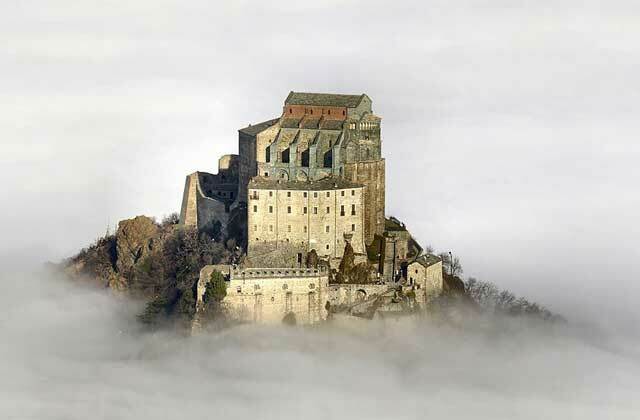 The castle of Manta,a fourteenth century building, is of remarkable arthristic relevance in the immediate surroundings; Where the salon is decorated with a cycle of fifteenth century frescoes, one of the most important examples of Piedmontese International Gothic. 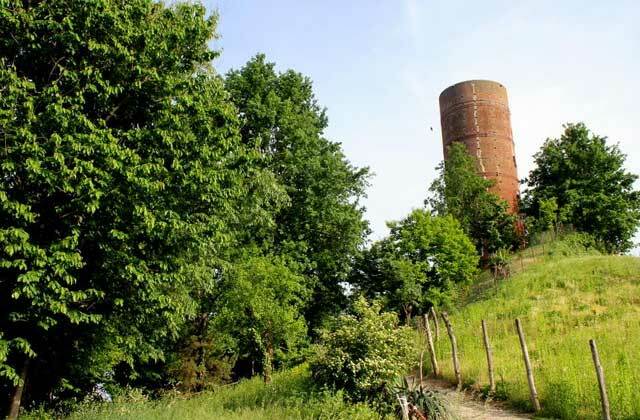 Our second route of itinerary in the areas of the lower Piedmont, is aimed at visiting the hilly areas of the Roero.The first village worthy of note is the forest, considered the"Porta del Roero and thanks to its characteristic itinerary"Fairyland" (see separate note). 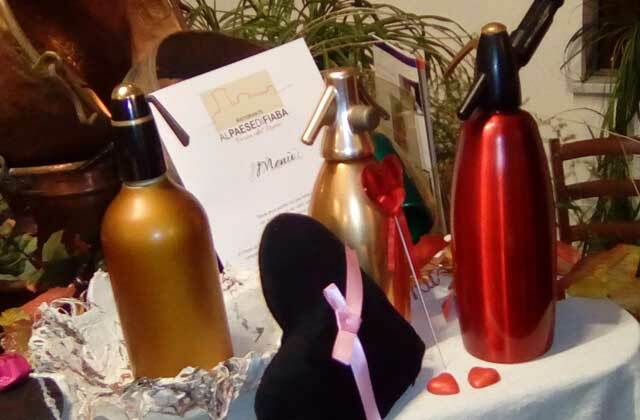 It continues successively for Sommariva pivot that still preserves a scenographichistorical center and the castle of "Bela Rusin" that the king Vittorio Emanuele II had given to his mistress. Continue to the small village of Monteu Roero located on a spur of rock over looking the most characteristic areas of Roero, from where there are many naturalistic itineraries to discover these fabulous hills, lands of great traditions, of Masche,Tales and night..., to arrive to Canale, famous for its central street completely porticata, it’s churches and the castle and the regional Enoteca del Roero, home to a famous and renowned restaurant. 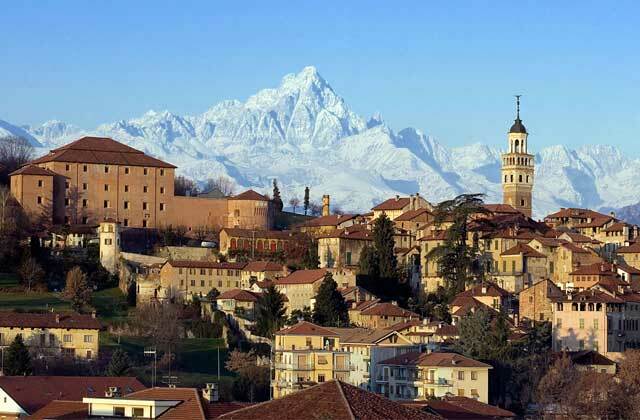 A short stroll also deserves the town of Montà D'Alba. Continuing in the direction of Alba, your each guarene on which stands the Baroque castle Roero that still retains a rich Italian garden, Magliano Alfieri a country of Roman origin with it’s rich and suggestive Museum of Gessi, and finally Govone built around To the imposing royal castle, residence of Carlo Felice. along the streets of the Tanaro you will meet Monticellod'alba, with a pleasant old town and as always the castle, to continue to wards Santa Vittoria d'alba suggestive medieval village that preserves a bell tower of the fifteenth century and one of the many valuable castles Of the area, from which you can admire a spectacular panorama... and come to Pocapaglia, little village but particularly interesting because perfect starting point for the naturalistic excursions to visit the "Rocche del Roero". Finally we arrive at Bra, to conclude our day of visit, which preserves interesting architectural testimonies of the Baroque era. In the square fallen for freedom, whose shape gives it a unique charm,stands the Baroque church of Sant'Andrea, which is attributed to the school of Bernini, magnificously decorated with paintings and a major altar really monumental, but theTrue jewel in the upper part of the city is the Church of St.Clare, built in the second half of the ' 700. In the central viaVittorio we find the churches of S. Antonino and the parishchurch of S. Giovanni. Important also several non religious monuments such as the Palazzo Traversa, the town hall anda simple walk in the upper part of the city could be revealed for sure interest. Outside the town of Bra, and in the direction of the return to "at Nightfall", a worthy stop is thesanctuary of Our Lady of Flowers, the church most loved by the bra and a place of great devotion for the whole district,present both with the ancient church Built in 1626 in theplace where a chapel recalled the apparition of the Madonnain 1336, which with the new church built in 1933. A note of particular interest is the flowering of the Hawthorn presentin the garden of the sanctuary in winter time, towards December. 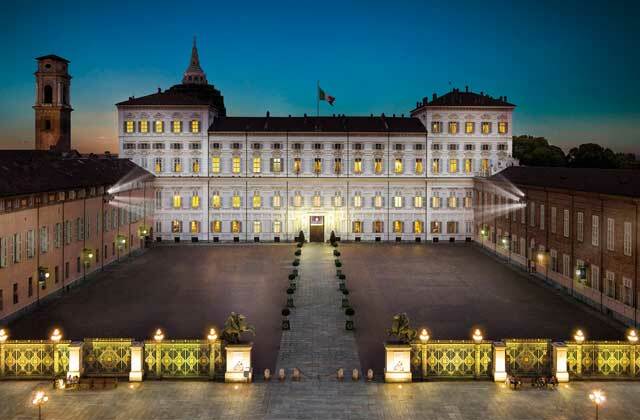 Our third visit is aimed at the visit of Saluzzese and, startingfrom at nightfall in its direction we arrive to Racconigi,famous for the Royal Castle of the Savoy of neoclassical forms and a richly decorated interior. Behind the building is the magnificent park, winner in 2010 of the first prize as the most beautiful park in Italy, where you can admire the storksin particular. At the bottom of the park it self but with entrance from the outside you can visit a fabulous Lipu oasis with countless species of aquatic animals and not,particularly appreciated by children. It is also worth a short walk in the historic centre, rich in pleasant historic buildings... It continues for Saluzzo, already existing before the eleventh century, became the capital of the homonymous marquisate reaching it’s maximum splendor in the fifteenth century, it presents today with a very unique historical center, constructive features and visual impacts of Scenographic importance... a large town with an almost Tuscan imprint where every corner and every glimpse is agreat pictorial painting that will remain imprinted in the amino of the visitor for long periods. There was born Silvio Pellico, and it is visible his birth place on the road leading to the castle or Castile of the thirteenth century, now former prison and museum venue. In the immediate vicinity buildings of remarkable historical value are Casa Cavassa of the XV century, seat of museum, and the Church of SanGiovanni, located in a fairytale context, with it’s peculiar Gothic forms built on a chapel thirteenth century, retains anenviable Square Gothic cloister and a semioctagonal apse of green stone of undoubted work manship but of exceptional historical and artistic interest. The castle of Manta, a fourteenth century building, where the salon is decorated with a cycle of fifteenth century frescoes considered among the most important examples of the Piedmontese International Gothic, is of remarkable artistic relevance, and in Opposite direction we find the Abbey of Staffarda founded in 1135, and developed in the XII and XIII centurie. Abasilical plan presents unusual characteristics to theCistercian constructions like a transept not projecting on the wings and the aisle that end with semicircular apse. Of considerable importance the dark red brick cloister,punctuated by white twin columns, the Capitular hall divided in to nine spans by 4 central pillars that support the vaultsand the guest quarters with a 2 aisled living room and 5 baysused as refectory for the Pilgrims. 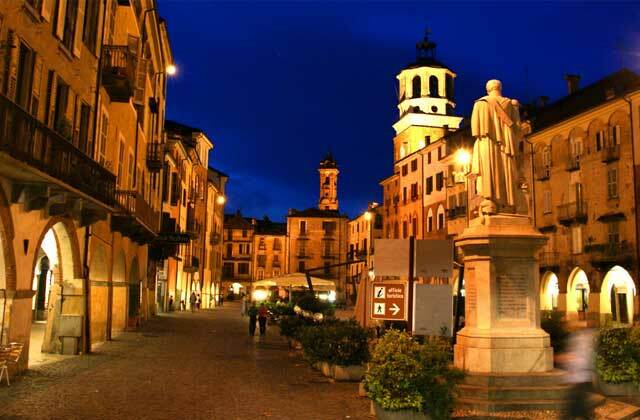 The nearby town ofSavigliano preserves in addition to a pleasant historicalcenter with its historic and very characteristic Piazza Santarosa, full of buildings of great interest from the ' Gothici mprint, the churches of St. Paul of Cassinesi completely restructured in the XVI and XVII century and S. Andrea remodelled in ' 700 in Baroque forms. 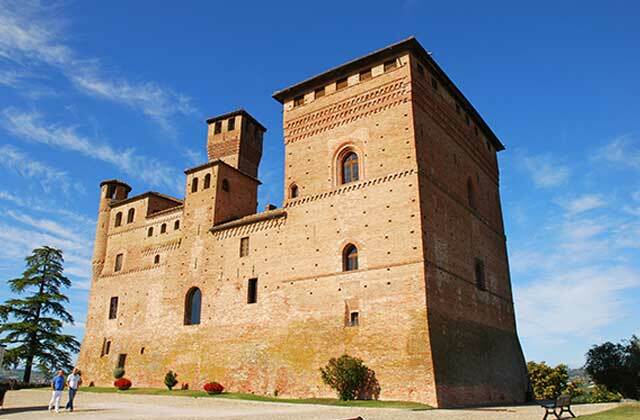 A particular note is dedicated to Fossano where it is pleasant a walk along the central via Roma, mostly Porticata, where there are buildings of considerable historical and artistic interest. Particularlynote worthy are the Duomo and the Church of the SS. Trinitàof 700, in addition to the fourteenth-century castle of Acaja,beautifully preserved, with its famous carousel of the goose,historical commemoration that took place on the third Sunday of June, with the imprint of A medieval jousting that puts skilled riders in the race who have to decapitate thegoose. Flag waving and volunteers in period costumes and with great scenographies: Here are the districts that compete and the city of Fossano lives and makes live intense emotions. Slightly out of reach from our classic itinerary but deserving of great interest turns out to be Mondovì, divided in it’s two characteristic districts, Piazza where stands the Civic Tower of the Belvedere, erected in the thirteenth century with Gothic and 29 meters high It has ogivalmullioned and battlements. Of particular interest is the ancient Piazza Maggiore of the fourteenth century and it’s scenic facades, the medieval walls and towers, and thenumerous churches connected with a spectacular funicular renovated in 2006 to the district Breo characterized by the churches of Saints Peter and Paolo Detta del Moro, San Filippo and Santo Stefano, the Fountain "GoJ D'esse a Monduì, the tower and various palaces. 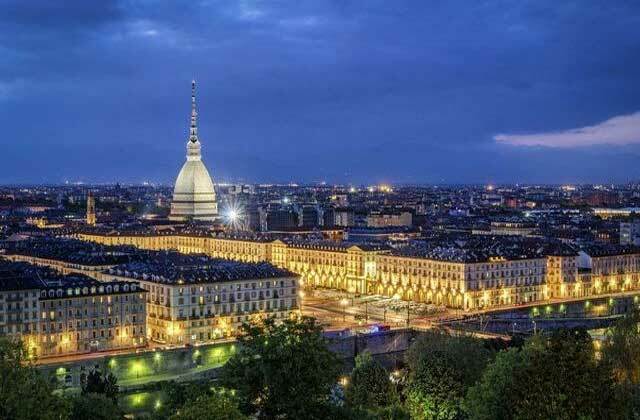 Great importance not only religious but above all architectural is the sanctuary of Vicoforte, a few Km from Mondovì is the destination of important pilgrimages, also known as the Basilica of theNativity of Mary Most of which the elliptical dome is the most Important in the world. The town of Sommariva del Bosco, with it’s name that sounds sweet and musical, strongly evocative, is considered the "Porta del Roero", because it is the gateway to an extraordinary territory like the Roero, with it’s ancient origins,characterised by So called rocche clayey soils with spectacular ravines, very steep sides, Forres and pyramids with jagged peaks...: A branched series of gorges that crosses the area from Bra to Cisterna d'asti. Sommariva del Bosco, anciently Summaripa makes its appearance in history since the year 1059, year in which a certain Riccardo sells a plot to the abbey of Caramagna, while in 1199 you have testimonies of participation in the alliance of Roerini villages Called "Astisio" against the then power of Asti. In the park surrounding the castle, under the imposing roots of secular trees you can see the ruins of the oldest nucleus of the village, progressively demolished over the years, starting from the XVIII century. For subsequent reconstructions and arrangements of a strategic type. To surround the curren thill dominated by an imposing castle, there are alleys and buildings of the village arranged amphitheatrically, followinga characteristic and sober typical rural architectural style.This particular urbanism of the old town has an interesting characteristic called "visual rifles" or "perspective telescopes"because many streets have a vanishing point that coincides with the bell tower of a church or a tower of Castle. Sommariva del Bosco, the "Porta del Roero", with it’s evocative name, almost fairy tale, invites the visitor to follow the traces of a magical journey in the historical city centre, discovering the monuments and the most evocative corners of the village, lying on the "Sommariva" Of the western border of the Roero. A monumental visit called "Path of the Fairyland", inspired by one of the most beautiful tales of all time "Sleeping Beauty" by Charles Perrault, stems from the development by a group of local artists and young students of a Fabulous idea of Samuel Mancuso, a young and prestigious local journalist and attentive observer of some historical, social and monumental coincidences of the villageas the tallest tower of the castle, a witch or masca between history and legend, an evocative name as Sum of the wood", lying on the slope of a hill, the quiet character almost a sleep "of it’s inhabitants...: An ideal country for the development of a magical and fairytale the me, that couldenhance from the tourist point of view, as well as culturaland artistic the Historical and monumental heritage of the place. The route that currently consists of 23 panels of different sizes painted by young people and local artists; It was inaugurated on 12 and 13 May 2007 and entitled to the young victims of the road of Cuneo with special dedicationto the young Sommarivesi.